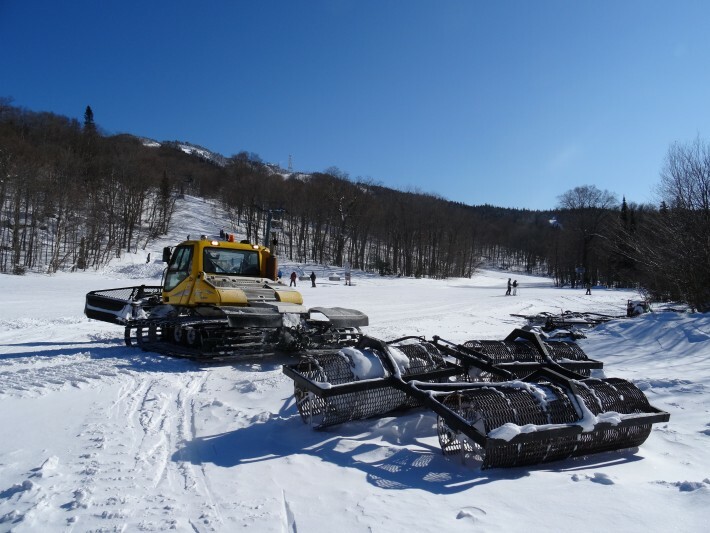 After last week’s weather conditions, our entire maintenance team is working on the recovery plan. Different techniques were used to soften the surface such as snow aeration in certain areas during grooming and use of our winch grooming machines to move tons of snow. Mother Nature is also contributing to optimizing snow conditions with fresh snow falling daily on the slopes. Thanks to our dedicated Mountain Operations team, snowpark adepts will also be able to fully enjoy their outing at Tremblant. In fact, our team has taken this opportunity to rework the design of new structures. Skiers and snowboarders will now have access to 45 modules and ramps in our 3 snowparks!